Two chums were talking at a ballgame and one offered to buy the other a hotdog. My dad said he could eat these as a snack during the football game. He also said that they could be served as an appetizer with some sauce for $7.95. We all know I could serve him a sock topped with feta and he would think it was the best thing since sliced bread. But hey, he despises feta, so I decided to make him game day broccoli, bbq tofu and garlic pita bread instead. 2. Cover a baking sheet with tin foil and liberally spray with oil. 3. Chop broccoli into individual florets and place onto baking sheet. Spray with oil. 4. Season liberally with sea salt and garlic powder. 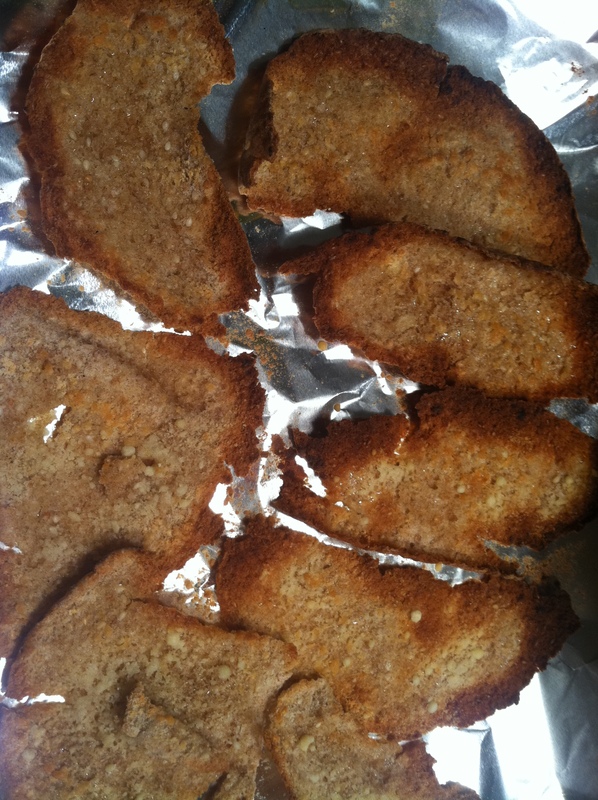 Drizzle with low-sodium soy sauce and toss to coat. 5. Bake for 20-30 minutes or until the whole house smells like broccoli. Serve with other roasted veggies and watch the big game. 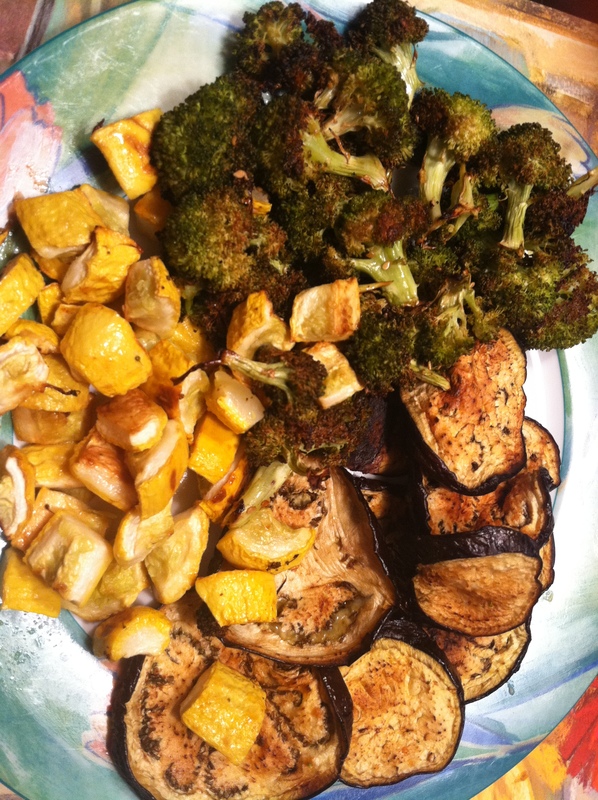 **Other roasted veggies: I did the same process for the squash and eggplant, except I sliced the eggplant and cut the squash into chunks. I omitted the soy sauce for these. You can roast these at 375 or 400 if you’re in a hurry. Roast until nice and soft! Don’t be afraid of my good friend, tofu. It’s way more scared of you than you are of him. Broiling tofu gives it a great chewy texture that will make you forget about all the times you cursed yourself for trying tofu. Thanks Mama Pea for teaching me how to LOVE tofu again! it tastes better than it looks, i promise! *I made my own bbq sauce, but you can really use any marinade you want, even salad dressing! 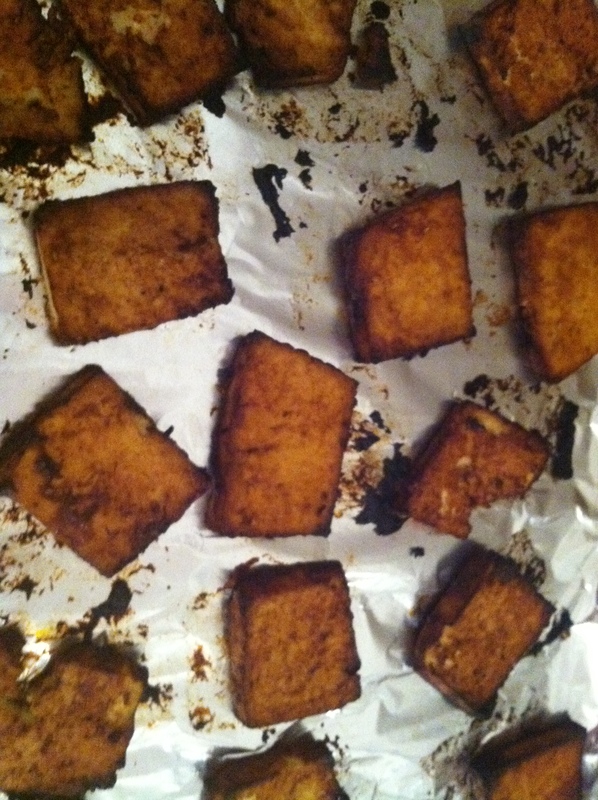 Drain tofu for at least thirty minutes or overnight. (Place between paper towels with a heavy object on top). Slice tofu into slabs and place in a Tupperware. Cover with marinade and toss a bit to ensure even coating. Marinate in fridge for at least an hour or overnight. Preheat broiler. Place tofu on a greased baking sheet and pour on any extra marinade. Broil for five-six minutes on each side. Slice pitas in half and then separate pockets, forming four halves out of each whole pita. bbq tofu sounds delicious. yum!